It could. It totally could. But, for now, the European Central Bank isn&apos;t going to make banks pay it for the privilege of holding onto its money overnight. And so, in spite of the mountingbad news, the euro soared to a one-month high against the dollar. 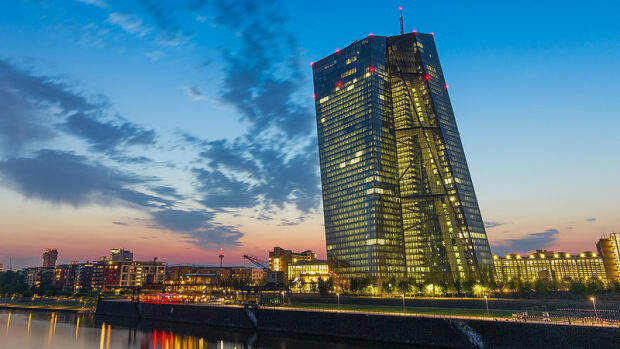 The euro scaled one-month highs against the U.S. dollar on Thursday, a second straight session of gains, after European Central Bank President Mario Draghi ruled out cutting overnight deposit rates below zero in the near term. 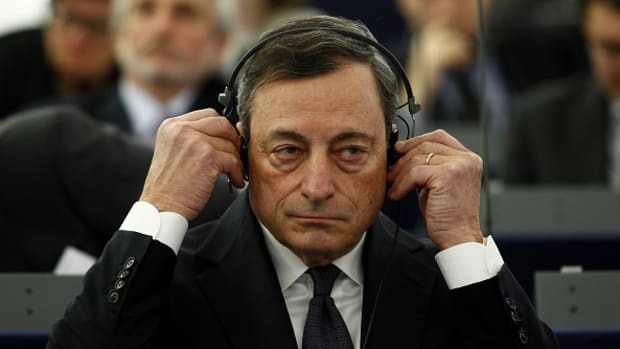 In a press briefing held after the ECB held interest rates steady at 0.50 percent, Draghi said while the central bank was technically ready for implementing negative deposit rates, the rate it pays commercial banks to hold their money, there was no reason to act right now…. The euro hit a high of $1.3196, its strongest level since May 2, and was last trading at $1.3191, up 0.8 percent on the day. The euro zone&apos;s common currency also benefited from buy orders above $1.3150, traders said. Against the Japanese yen, the euro edged up 0.1 percent to 129.83.